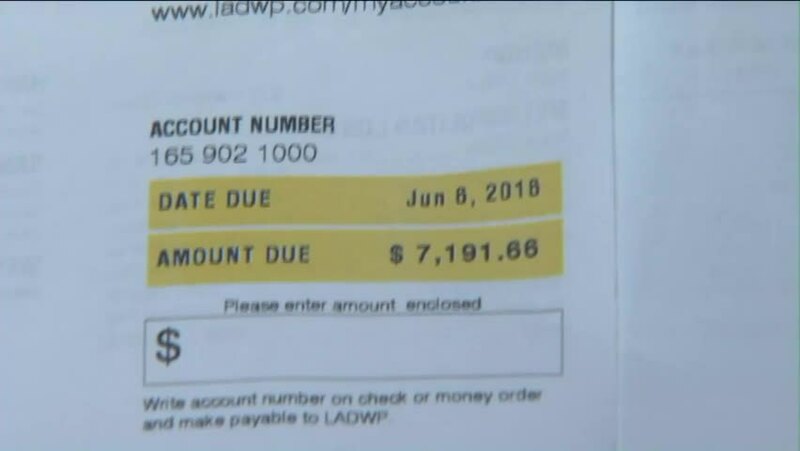 (KTLA) A Chatsworth woman was stunned by a bill from the Los Angeles Department of Water and Power for nearly $10,000. The bill was corrected more than a dozen times, but she still owed nearly $7,200 by June. The customer, who said she has never missed a payment in 30 years, said the charges were for "underestimated usage" going back to 2013. A DWP spokeswoman told KTLA she would refer the matter to customer service. Kirk Hawkins reports from Chatsworth for the KTLA 5 News at 10 on Thursday, May 19, 2016.